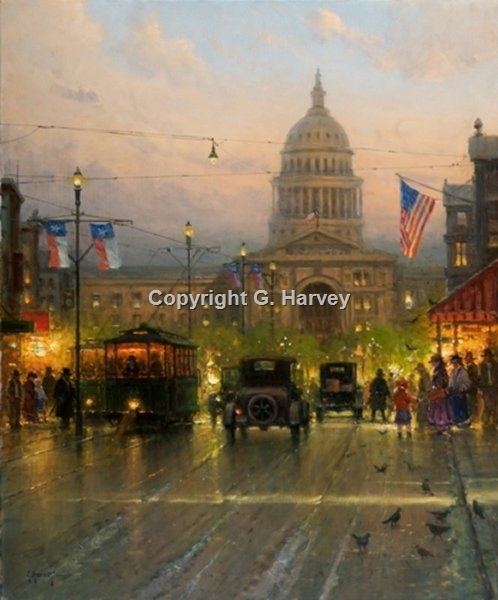 "Lone Star State" is G. Harvey's newest painting of Austin, Texas, at a time when trolleys, horses and cars shared the busy streets near the Texas capital. Harvey's Austin pieces are highly sought-after. His love for his Texas heritage shows in every brushstroke. This particular piece is unique because of the prominence of the antique car in the composition.